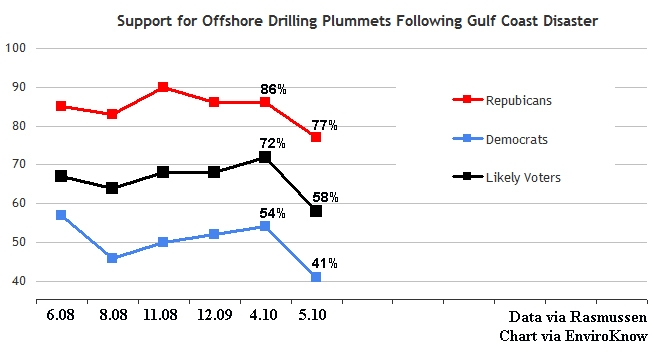 I’ve got a new piece up today looking back at 2008 and the expiration of the long-standing moratorium on offshore drilling. Basically, it’s a reminder that public pressure (egged on by the Republicans’ chants of “Drill, baby, drill”) succeeded in freaking out congressional Democrats, who let the 27-year-old ban on new drilling expire. Had that moratorium been renewed, we wouldn’t be caught up in such a grueling debate on the issue now.